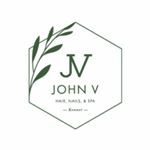 John V Salon Kenner is a lifestyle concept salon that offer services from hair, nails, massage, facial, and body waxing. We value our clients and take good care of them without breaking their bank. Come on in and check us out!